The use of intelligence, for the benefit of the state and military service, can be traced back to the reign of Queen Elizabeth I. When Walsingham was appointed chief of intelligence. This lineage is recognised by the Tudor Rose forming part of the Intelligence Corps cap badge. Since the time of Walsingham; the army has employed ' gentlemen of intelligence ' in one form or another. Wellington’s "Exploring Officers", the Corps of Guides on the North-West Frontier, and a General Staff "IC Staff" on the Western Front in 1916 are but a few examples of its use. During this time, Intelligence was not formally recognised however; this was to change when, on the 15th July 1940 under Army Council Instruction 1020 / 40, with reference to Army Order 112 / 40. The Intelligence Corps was officially formed. ACI 1020 / 40 provided " for the efficient centralized administration in one corps of personnel employed on intelligence, cipher and censor duties, included in the war establishments of various formation headquarters, etc, who under the existing system are found from several different arms"
As the War progressed, a greater number of formations required intelligence staff; resulting in an Head Quarters and Depot structure being established. An Officers Wing was formed at Oxford University (Pembroke and Oriel Colleges). Other ranks were inducted through Winchester. By the middle of 1942 however; the requirements of the Corps combined with the need to surrender facilities, due to the increasing number of US personnel arriving in southern England, meant that the Corps needed a new home. The new HQ Intelligence Corps and Depot was established, incorporating both Officers and Other Ranks, at Wentworth Woodhouse (near Rotherham) Yorkshire. Development of the Intelligence Corps was now moving rapidly as also in 1942 saw the formation and deployment of the British Airborne Divisions 89 and 317 Field Security Section ( 1st and 6th Divisions respectively) These sections undertook parachute and glider operations in North Africa, Italy, Normandy,Arnhem and the Rhine crossing into Germany with a total of 40 parachute qualified Intelligence Corps personnel, wearing the distinctive maroon beret and camouflaged "Denison Smock" however; due to the nature of Intelligence and the importance of Intelligence staff as high priority targets; Corps shoulder titles were not worn on operations. Simply wearing a cap badge may have invited intense interrogation on capture, or even torture. Their duties including the conducting of informant handling, prisoner interrogation, arrests and, with the direct support of the Divisional Commander, the exploitation of captured enemy material. But. They were all soldiers first and foremost and they found themselves acting as line infantry on more then one occasion. Captain Dunbar (Sicily landings), Corporals Maybury and Scarr (Arnhem) are but a few of those who fell in action. In addition to field operations. The Intelligence Corps and Field Security Section also engaged in the conducting of cipher duties. They were heavily involved in "Y" service operations (signals intercept intelligence) at Station ' X ', Bletchley Park, where "Ultra" successfully broke the German Enigma codes. 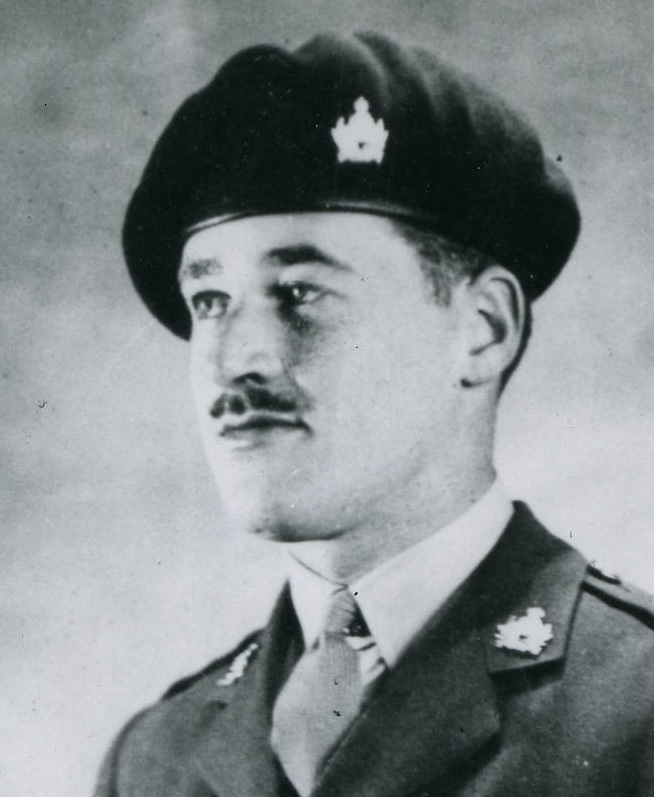 Captain John Makower received the Military Cross for extreme coolness under fire, whilst continuing "Y" duties during enemy bombing, in North Africa. By the conclusion of WW2 the Intelligence Corps numbered over 1700 officers and men including many well known figures such as John Le Carre, Ted Allebury, Laurens Van-der-Post, Correlli Barnett, Trevor-Roper, Enoch Powell, Sir John Killick, Hardy Amies and Teddy Tinling. The Corps operated in every theatre of operations from Africa, the Middle East and India to the Far East and Europe resulting in 5 Distinguished Service Orders, 8 Military Crosses and 2 Bars, 7 Military Medals and numerous foreign awards and decorations being awarded.